Director: Brian Helgeland. Cast: Tom Hardy, Emily Browning, Christopher Eccleston, Taron Egerton and David Thewlis. Running time: 131 minutes. Certificate: 18 (UK), R (USA). Genre: Crime drama. Fast forward to 2015 and after a number of books, documentaries and the 1990 film The Krays, as director Brian Hegelend (writer of L.A. 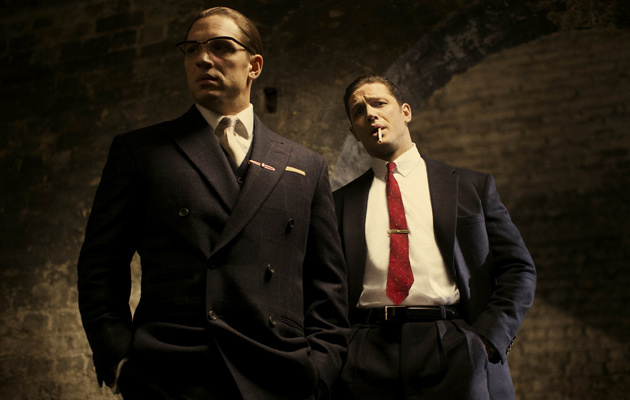 Confidential and director of A Knights Tale) brings Legend into cinemas to recount the legacy of Reggie and Ronnie Kray. 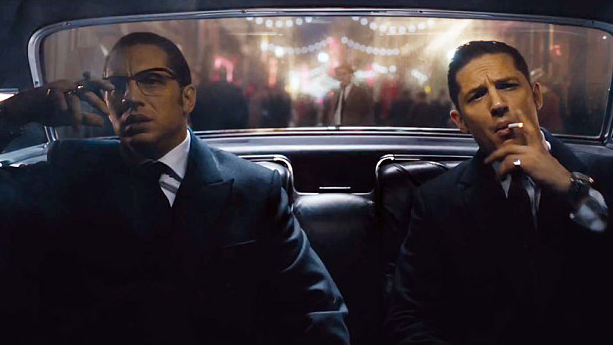 Tom Hardy plays both twin brothers thanks to the magic of CGI in a daring double performance. Although the film tells the tale of the Kray’s ruling the criminal underworld with a pair of iron fists, the story is told from the viewpoint of Reggie’s wife Frances (Emily Browning). Sparks fly when Frances first meets Reggie in the opening few minutes as the girl in her late teens is fascinated by one of the local bad lads. She knows Reggie is a full-blown gangster but she can’t help but be captured by his charm and neighbourhood celebrity. Her youthful naivety leads her to thinking that he’ll eventually change his wrongful ways so she becomes his girlfriend and later on his wife. As time goes by Frances grows weary of her marriage to Reggie as she struggles to cope with the harsh reality of her husband’s illegal career as well as fighting for his affection and attention with Ronnie. Through Frances’s eyes we see the legend of the Kray twins as we witness both their alluring appeal and their capacity for cruelty. Hardy magnificently manages to encapsulate the fascinating and frightening nature of the twins in his dual performance. His Reggie Kray is a cheeky chappie, cockney wide-boy who can switch from sophisticated gentleman to ruthless thug at the drop of a hat. Hardy plays Reggie with a certain swagger which means that despite his occasional bouts of brutality, you find yourself rooting for him – that is up until a particularly monstrous moment in the final act. 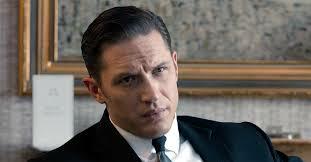 Hardy plays Ronnie Kray very differently to Reggie as what Ronnie lacks in grace he makes up for in menace. When we first meet him he’s holed up in a mental institution and for good reason – he’s a paranoid schizophrenic. Ronnie is a blunt, impulsive beast of a man who could lash out in a fit of violence or a foul-mouthed rant at any moment. It’s this unpredictability that makes him so strangely magnetic as Hardy’s loose cannon twin lights up the screen whenever he appears. One man playing twin brothers could have easily appeared gimmicky and jarring which on the whole it doesn’t, although to be fair the very first moment the two Krays share the screen is a little disorientating as initially seeing two Tom Hardy’s makes you wonder whether the guy who served you your drink before you sat down to the watch the film had slipped you something a little extra. Or maybe that was just in the cinema I went to. Anyway this jarring effect lasts less than a minute as you are soon on board with the dual performance. Hardy is able to create genuine chemistry and tension between his two brothers which completely convinces you that you are watching twins with a tight but sometimes strained bond. Credit must also be given to Browning who gives Frances a sense of vulnerability which helps to ground a film that deals with larger than life characters. 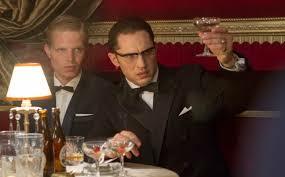 Christopher Eccleston and David Thewlis also put in good performances respectively as the underused Nipper, the detective trying to take down the Kray twins and Leslie Payne, their business manager. As well as knockout performances to engage you, the violence will also rather sadistically entertain you as the cartoonish nature of it makes it borderline hilarious. The inevitable tussle between Ronnie and Reggie is extremely fun to watch as watch the twins go toe to toe which is sure to have you laughing out loud. A Royal Rumble-like brawl which sees the Krays take on a pub full of enemy thugs should also have you chuckling as their hooligan antics are hilarious. The violence takes a more sinister and sobering tone in the final act as Reggie commits two acts of severe savagery which will have you rightfully appalled; one is hidden away from the camera while the other is fully exposed in gory detail. 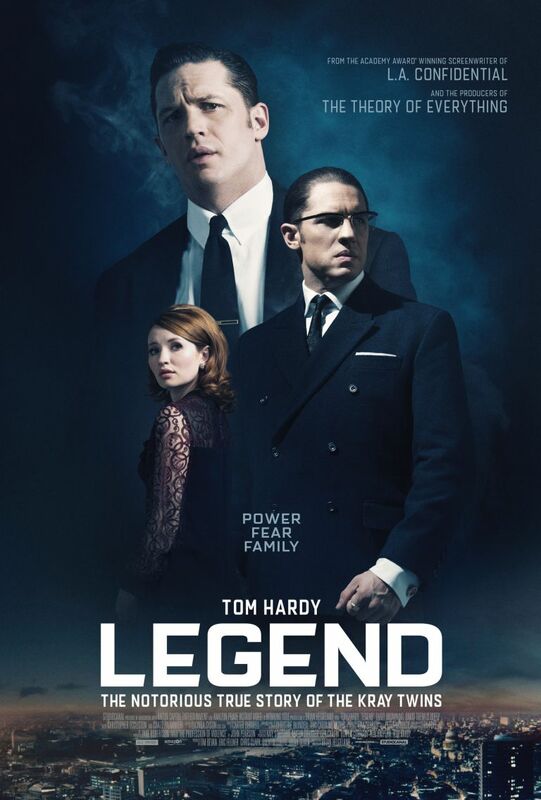 Legend is strengthened greatly by the performances of its powerful leading man but it’s a shame that it’s slightly weakened by a flimsy story. The rise and fall of the Krays’ criminal empire isn’t told in very much detail as Frances’s narration seems to just casually mention the important moments of their legacy without the film giving them much attention. The Krays’ game of cat and mouse with detective Nipper, their relationship with the American mafia and their feuds with rival gangsters are all given brief scenes which may leave real-life crime film aficionados slightly disappointed. Nobody wants a history lesson when they go to the cinema but considering the Krays are Britain’s most notorious gangsters, their ups and downs could have been delved into in more detail.